– Prototypical comment by Frankenstein’s creator, spoken the moment of his creation’s resurrection; a line that is almost universally included in all story versions. One monster archetype that continues to get our attention is the Frankenstein Archetype. Frankenstein began as a distraction during a very rainy summer vacation. The romantic poet Lord Byron owned a house called the Villa Diodati, located on the shores of Lake Geneva. Each year Byron invited fellow literary luminaries to his estate, and in their 1816 getaway, he suggested they each should write a ghost story and share it among the group. Mary Shelley, a follow romantic poet, offered her creation and entitled it Frankenstein, or The Modern Prometheus. In mythology, Prometheus was the Titan who stole the gift of fire from his fellow gods and gave it humanity. For his crime, he was chained to a rock, where birds of prey feasted upon his liver until Hercules freed him. The Frankenstein Archetype represents a fear of science run amok. Shelley wrote Frankenstein amidst the backdrop of the industrial revolution which was radically altering both the technological and social landscape. There were tremendous changes going on that affected society at nearly every level. Not every change was good and Shelley’s story of just how awry good intentions could go struck a very raw nerve. In the classic story, the monster Frankenstein is brought to life by the mad scientist. 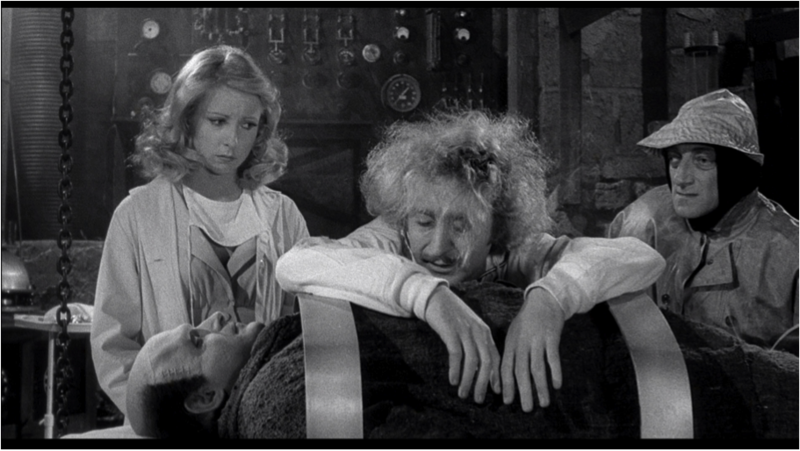 Though played with a great degree of comic relief by Mel Brooks in his Young Frankenstein,  adaptation, the story has continued to evoke great fear in many generations. For what purpose the monster is created there is unclear, other than the idea that creation and control of life can and is affected. Mel Brooks’ famous cry “It is alive!” is furthered by the madness and destruction of a dream become nightmare. As current science progresses, there is an increasing number of so-called ‘Frankenstein plants’ that have had their genetic code modified to affect greater crop yields and resistance to disease. But is modern science fully capable of grasping and controlling all the of the cause-and-effect dynamics that function just outside our grasp of them? In changing something that we know, are we changing things that we do not; if this is so, could we bring something terrible to life? And will the constantly advancing capabilities of science save us? It is arguable that, in the end, we must save ourselves. As Goethe said in Faust, there is a message we must understand: all of our technologies – computers, tools, machines, or whatever – will not be enough. We will have to look into ourselves and anchor our true fates in our own intuition: who we really are. Boris Karloff came to refer to him as the “dear old monster.” Today, whenever one thinks of Frankenstein, the default image is almost always of Boris Karloff is his role of Frankenstein. Karloff played only minor roles as a gangster before he received a note while eating at the commissary at Universal Studios, asking him if he would like to audition for the part of a monster. A tremendous amount of thought went into the design of Frankenstein in terms of what he would look like. The bolts in Frankenstein’s neck were borrowed from a design that Universal’s poster illustrator Karoly Grosz submitted, which had represented a stylistically mechanized concept. Ironically, these bolts helped fixate Frankenstein in the fevered imaginations of moviegoers, a small detail that would serve to “symbolize the total Frankenstein ethos:” a stylization that in the terms of Max Ernst essentially embodied the idea of a man “reshaped…to conform with the machine world.” While many felt the Depression draining away their life’s blood through failing banks and lost wages, instead of Dracula’s fangs, they also surely distinctively felt like the industrial revolution had come upon them and crushed them in such a way that they had been brought back from the dead and into a state that was neither life nor death but something both awkwardly and truly horrifically in between. The story of Dr. Jekyll and Mr. Hyde is actually a combination of both Frankenstein and Wolf Man Archetypes. If Dracula represented the enslavement by evil powers and the loss of vitality (blood) and if Frankenstein represented the working man transformed into a mindless and staggering automaton working outside his own will and even that of his maker, then Fredric March’s character in The Strange Case of Dr. Jekyll and Mr. Hyde,  is yet another itineration of a fear of what might be termed ‘the loss of existential stability.’ The Robert Louis Stephenson story about a mad scientist who drinks a portion that inadvertently and unpredictably turns him into a monster surely set people on edge, not just in terms of the potential unpredictability of ever-evolving vaccines, but with deep reservations as to what kinds of real monsters might be locked within the most dignified of men just waiting for something to release them. March received a Best Actor nomination at the 1932 Academy Awards. In some ways, the story of Frankenstein represents an attempt to cheat death and disease – by attaining a form of immortality though science. In her book The Immortal Life of Henrietta Lacks, Rebecca Skloot tells the story of how a young black woman from the hood, albeit in a very unique way – inadvertently did just that. Henrietta Lacks died of a very aggressive form of cervical cancer in 1951, but shortly before her death, one of her physicians obtained a tissue sample from her tumor and gave it to a Johns Hopkins researcher named Dr. George Gey, who was trying to find way to grow and cultivate human tissue outside of the body. To everyone’s amazement – Henrietta’s cancer cells did just that, and did so with amazing ferocity. Scientists have used her cells in ongoing experiments and tests, one of which included the development of the polio vaccine in 1952. Nicknamed “HeLa” cells – the family of Henrietta did not know that her cells were being used in ever-ongoing research until 1973. Because of the strange properties of HeLa, scientists have actually genetically spliced her cells with cells from a multitude of other organisms – much to the real fear and outright horror of other scientists. Other rogue scientists would be discovered to have injected unsuspecting patients with HeLa to see if it would take over their bodies; to see if they would get cancer. For whatever good HeLa has brought in terms of healing – one can only wonder if there is great potential for even more horror. The Frankenstein Archive: Essays on the Monster, the Myth, the Movies, and More. pg. 123.
 http://www.youtube.com/watch?v=mOPTriLG5cU, Trailer for Young Frankenstein . http://www.imdb.com/title/tt0072431/ Internet Movie Database entry for Young Frankenstein . The Power of Myth, pg. xiii. The Monster Show – A Cultural History of Horror, pg. 14. The Monster Show – A Cultural History of Horror, pg. 132.
 http://www.youtube.com/watch?v=ho8-vK0L1_8 (Full version) The Strange Case of Dr. Jekyll And Mr. Hyde (1920). http://www.imdb.com/title/tt0011130/ Internet Movie Database entry for The Strange Case of Dr. Jekyll And Mr. Hyde (1920). The Immortal Life of Henrietta Lacks, pg. 333. The Immortal Life of Henrietta Lacks, pg. 33. The Immortal Life of Henrietta Lacks, pg. 334. “They assured the public that they were just creating cells, not ‘trying to produce centaurs.’ But it didn’t help. A public survey about the research was overwhelmingly negative, calling it pointless and dangerous, an example of ‘men trying to be gods.’” The Immortal Life of Henrietta Lacks, pg. 143. The Immortal Life of Henrietta Lacks, pg. 133. This entry was posted in Cinema Studies, Cultural Mythology, Dystopicism & Fear, Existentialism, Frankenstein, Horror (Classic), Philosophy Studies, Propaganda Studies and tagged Classic horror cinema, cultural control, cultural metannarratives, dracula, fear, fear metanarratives, film studies, Frankenstein, horror movies, Love themes, message movies, movie metanarratives, mummy, thematic propaganda, Vampire mythology, vampires, wolf man, Zombies. Bookmark the permalink.